Modern medicine has been able to overcome many disorders and illnesses that were not curable until recently. Yet there are still a large number of disorders that cannot be treated even with the best of medical science. For a large number of patients, help is more or less limited to the reduction of pain symptoms and ailments without the direct treatment of the underlying cause. The term palliative medicine is derived from the Latin word ‘palium’, which means a coat. The goal of palliative care is to provide a specially trained team of doctors, nurses and other specialists who work together to care for a patient who is terminally ill and restore them to the best possible functioning without suffering. The services can also be performed by a live-in carer, apart from doctors and nurses. WHO IS THE PALLIATIVE PATIENT? A person suffering from multiple illnesses who has already received many forms of therapy and hospital care in their life without much improvement can be a candidate for palliative care. Long-term medical procedures, treatments and incisions leave a strong mark on the patient’s life. Quite often, treatments do not provide the desired effect. As a result, the palliative patient’s feelings may become dominated by fear, discouragement, weariness, bitterness and even distrust of any additional offered medical care. The largest group of palliative patients consists of those people who have undergone oncology treatment. These are people who have been diagnosed with and treated for cancer usually in its metastatic phase. Palliative medicine, hospices and treatment isn’t just created for patients with cancer. A patient requiring palliative treatment may suffer from other progressive diseases where prognosis does not offer any hope of recovery. These include neurological diseases, multi-organ failure or post-stroke conditions. In many cases, a palliative patient is unable to leave the bed and needs help with eating meals and going to toilet. The care giver of such patients must be prepared for the daily re-change of pads, change of position, patting, massaging and bedsore care. Decubitus ulcers are a special threat for this group of patients due to immobilization. The disease can lead to protein deficiency and destruction of body tissues. A palliative patient’s nutrition may be hindered by digestive system disorders. These include inflammatory acids appearing in the oral cavity (often occurring as a drug complication), nausea, vomiting and constipation. If oral nutrition does not provide the patient with adequate calories, vitamins and trace elements, it is often necessary to feed the patient through a stomach tube. Mixed food is added to the probe, enriched with high-calorie supplements: butter, milk and sugars. This form of feeding is much less pleasant for the patient and can be slightly painful, but often necessary. The palliative patient also requires proper medication, adequate pain control and dressing changes. All these activities are usually performed by live-in home care provider. Caring for a sick person who knows about their imminent death is difficult. It often compels us to think about our own views, beliefs and customs. People requiring palliative care are usually quite aged and have decades of experience and wisdom, despite a failing memory. A bond is often formed between the patient and their caregiver, which is much stronger than we expect. When two people are connected with every day intimate activities, closeness and touching, it can even bring strangers closer. It is not just the patient who suffers from the awareness of their departure. We have seen that the carer also suffers, even if they were not closely related to the patient initially. Many people find it difficult to talk about death. It is not a common thing to discuss in our daily lives. We dismiss death and matters related to our consciousness and push them from our thought. This helps us enjoy life and be happier. In most conversations with a terminally ill person, many of us try to deny the illness, comfort the patient and give them assurance of healing. Palliative patients, on the other hand, do not need false assurances that death will not come. They usually want to discuss it, find ways to tame it and get used to the idea of death. Giving patients a sincere conversation and listening to their needs, desires and memories is often the best we can do to help them. 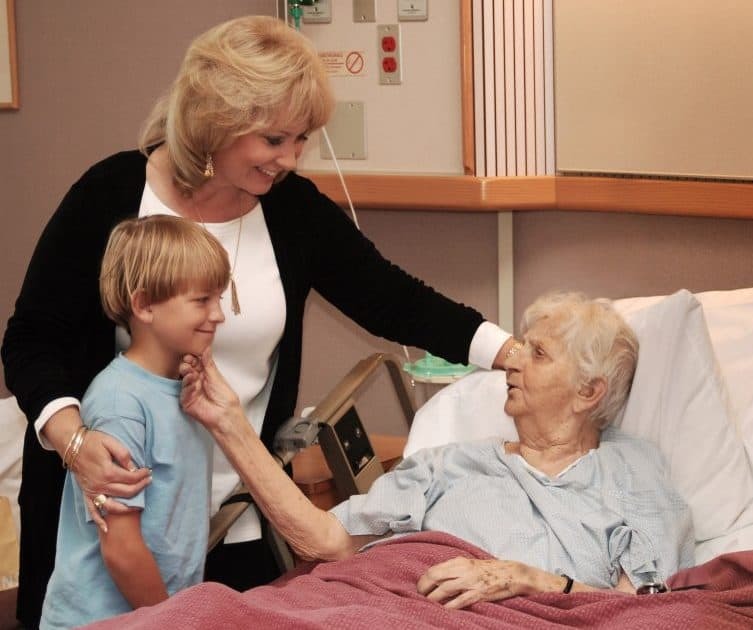 While a carer may not be able to give the patient hope of a full recovery, they can give him or her many other extremely important things in their terminal state; the company of another human being, emotional support, consolation, proper care, reminiscing old memories, pain relief and a few prayers if the patient is religious. Palliative care is provided to patients that are terminally ill and a few requirements must be met before a caregiver can work with the client. Palliative care is usually provided at the patient’s home. In case of intensification of ailments where it becomes impossible to provide care at home, patients are referred to hospices for a stationary or palliative ward of the nearest hospital. Long-term care is a temporary or indefinite provision of nursing and care services to a patient. It also includes provision of help and support to chronically ill or disabled people. It may apply to everyone, although it is particularly important in societies where the average old age for patients is growing every year. The natural aging process and many concealed slow-progressing diseases (e.g. atherosclerosis, osteoporosis, osteoarthritis or dementia) inevitably lead to increased dependence on long-term care.